PLEASE NOTE: Due to changes in my schedule, we are now back to our normal schedule. The next ship will be featured on Tuesday, September 6. Figure 1: USS PGM-7 photographed by the South Coast Company, Newport Beach, California, in January 1944. Official US Navy Photograph, from the collections of the Naval Historical Center. Click on photograph for larger image. 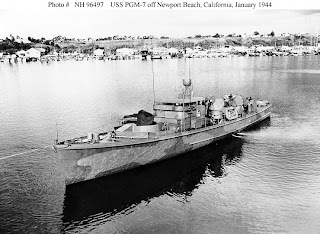 Figure 2: USS PGM-7 photographed by the South Coast Company, Newport Beach, California, on 7 January 1944. Courtesy US National Archives. Click on photograph for larger image. 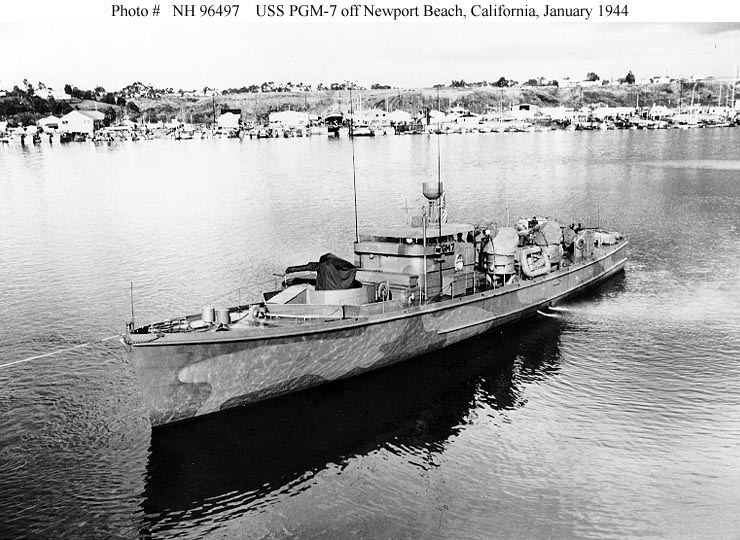 Figure 3: USS PGM-7 photographed by the South Coast Company, Newport Beach, California, in January 1944. Courtesy US National Archives. Click on photograph for larger image. 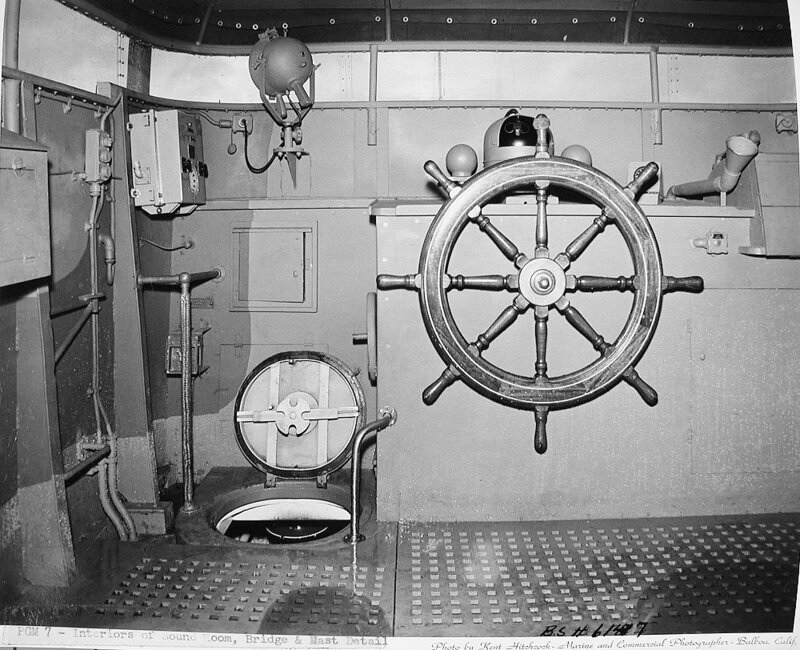 Figure 4: Interior of bridge and mast details on board PGM-7. Date unknown. Photo by Kent Hitchcock, Marine and Commercial Photographer, Balboa, CA. Courtesy of the US National Archives. Click on photograph for larger image. 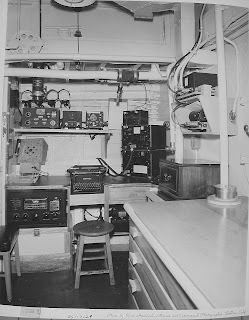 Figure 5: Interior of bridge of PGM-7. Date unknown. Photo by Kent Hitchcock, Marine and Commercial Photographer, Balboa, CA. Courtesy of the US National Archives. Click on photograph for larger image. Figure 6: Interior of radio room on board PGM-7. Date unknown. Photo by Kent Hitchcock, Marine and Commercial Photographer, Balboa, CA. Courtesy of the US National Archives. Click on photograph for larger image. 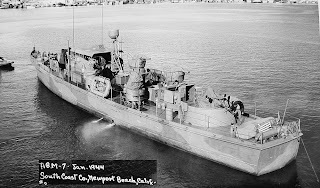 USS SC-1072 was a 95-ton submarine chaser that was built by the Mathis Yacht Building Company at Camden, New Jersey, and was commissioned on 28 June 1943. 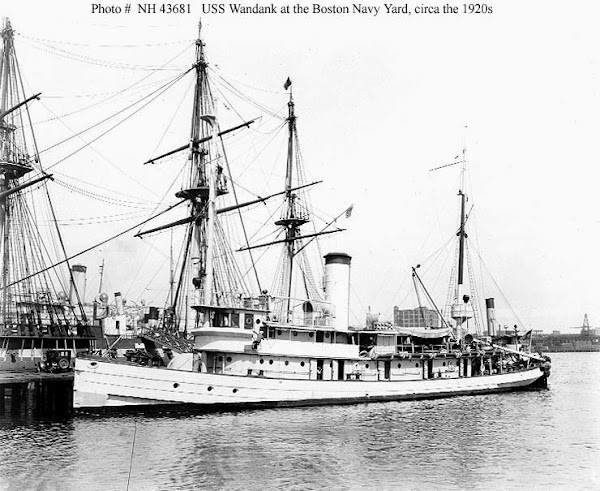 The ship was 110 feet long and 23 feet wide, had a top speed of 21 knots, and had a crew of 28 officers and men. 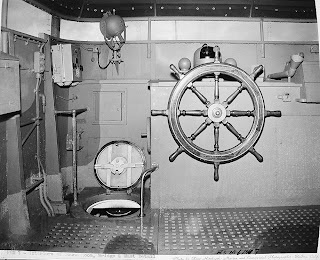 This particular sub chaser was armed with one 3-inch gun, one 40-mm gun, and four twin .50-caliber machine guns (although weapons sometimes varied from ship to ship). After being commissioned, SC-1072 served along America’s east coast. But on 10 December 1943, she was re-classified a gunboat and named PGM-7. 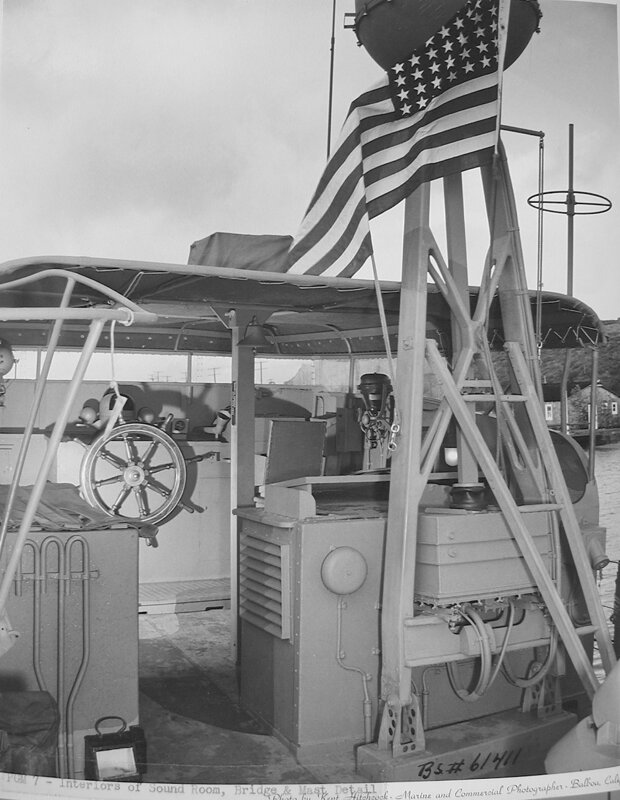 This small gunboat then was transported all the way to the Solomon Islands for patrol duty. After PGM-7 arrived in the Solomon Islands, she immediately began patrolling the general area. But on the night of 18 July 1944, USS PGM-7 was lost in an accidental collision off Torokina, Bougainville Island. The ship sank a little more than a year after she was commissioned. These are all the facts that can be found on this small ship. 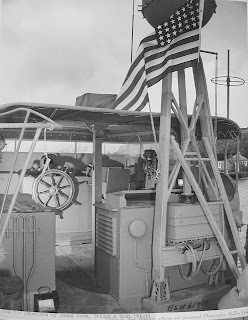 There were many such boats that were lost by the US Navy throughout the war. Few will ever know the names of the crewmembers that served on board these ships, let alone what they did. But they were just as much a part of the final victory over the Japanese and Germans as any of the larger warships possessed by the Allied navies. Their sacrifices should not be forgotten.